The trustees of for-profit superannuation funds appear incapable of acting in the best interests of members because they are so hamstrung by their dealings with other businesses entities in the same group. The board of AMP Super, charged with protecting the retirement savings of 2.5 million members worth more than $100 billion, was largely unaware of chronic investment underperformance and powerless to stop fee gouging by related parties, the banking royal commission heard on Thursday. “You can’t force the related-party companies to lower the fees?” counsel assisting the commission Michael Hodge, QC, asked AMP Super chairman Rick Allert. Hayne: “The information flow is controlled wholly by the entities to which the tasks are outsourced. Is that right? 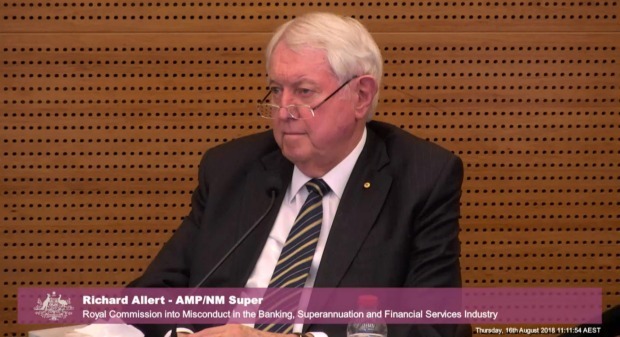 The exchange came after Mr Allert conceded that some clients would have been better off with their money in a savings account than in an AMP super fund. 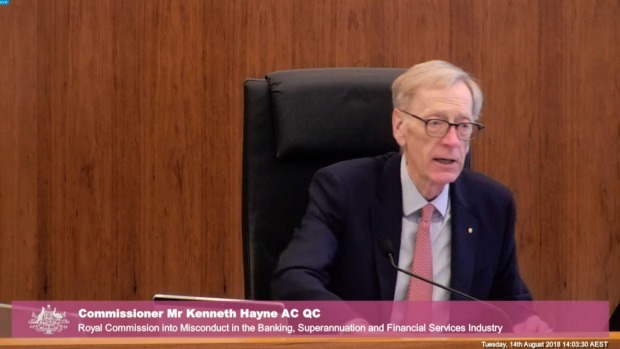 Earlier, he acknowledged there were no formal agreements in place for many of the super fund services contracted to other parts of AMP, and the first he knew the cash option was losing money was after the regulator intervened. 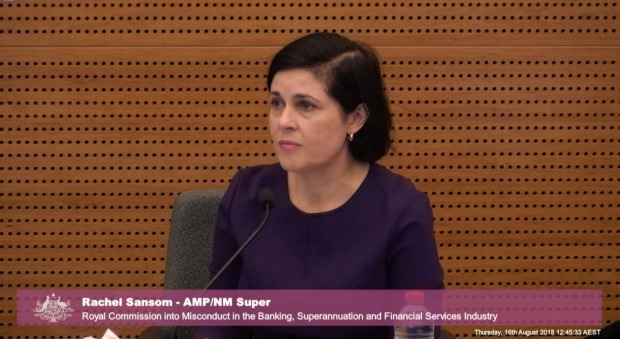 AMP director of regulatory governance, Rachel Samson, then took to the witness box to admit the super fund trustee was only able to determine “to some extent” whether the services they were paying AMP to perform were actually being undertaken. Ms Samson’s evidence made clear that the trustee was at the mercy of AMP’s many interests including financial advisers and investment managers. She conceded that the trustee did not know anything about the fee-for-no-service issue that exploded before the royal commission in April but was unrattled by the fact. “I have no reason to believe that we wouldn’t have been formally informed,” she said. The inherent conflicts were further teased out by Mr Hodge when he revealed that the investment return targets for AMP MySuper products were reduced by AMP Capital because fund managers were having trouble reaching the previously agreed target of CPI plus 3 per cent. AMP Capital had “quite recently” been found out incorrectly deducting fees from super fund members accounts for years, totalling $27 million so far. “Yes, that’s correct,” Ms Samson replied. It emerged AMP Capital had “quite recently” been found out incorrectly deducting fees from super fund members accounts for years, totalling $27 million so far, a fact the trustee could never have found out itself. “Broadly, I believe so,” she began. “It is possible that the administration fee would exceed the return on cash” Mr Allert said. Commissioner Hayne asked: “How can you do that with a staff of 15? He said even if the outsourced entities acted properly, how would the trustee know. On the first day of this round of hearings, Mr Hodge stated the underlying question would be: “What happens when we leave these trustees along in the dark with our money? The inquiry sums up on Friday. The chronic underperformance of the cash option was illustrated by a member statement tabled in the commission showing how somebody whose super was invested in the 100 per cent cash option would have been better off had their money been held in a bank account. And even once the fees were halved, the product became only “marginally competitive”. 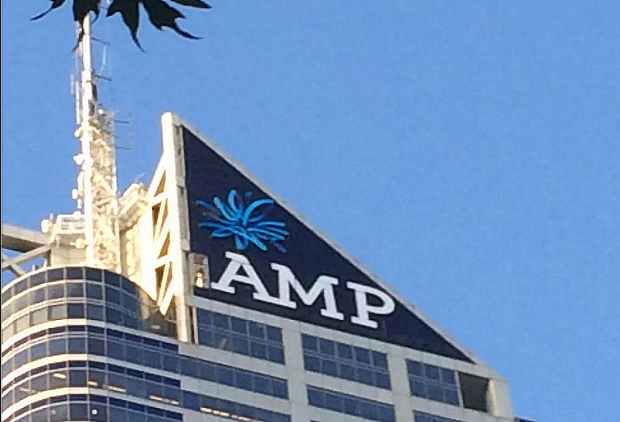 AMP is paying $5 million to 12,500 members after they lost money as a result of the arrangement. The running of AMP’s super funds is contracted out to related parties, including AMP Life, under the AMP umbrella. The regulator has expressed broader concerns across the sector about returns on cash options. Mr Allert said he was unaware that the cash component of AMP’s super funds was losing money each year over a three-year period until Australian Prudential Regulation Authority came knocking. Mr Hodge sought to identify a complex web of relationships between the trustees of AMP’s super funds and other parts of the business that are contracted to manage and administer the funds. It was established that there were legacy arrangements that saw fees paid back to AMP entities that were not formally recorded. “As the chairman did that seem strange for the trustee be paying out that much money to related parties without an arrangement?” Mr Hodge asked. “So when you saw they weren’t, did you ask any questions?” Mr Hodge asked. “Reading it now, I’m surprised that it says that,” Mr Allert replied. Mr Hodge asked Mr Allert about processes the board had in place to monitor the investment performance of the funds. It was explained there was a three-step process that saw investment options brought to the attention of the board – known as exceptions – only after they had underperformed its peers after a rolling 36 month period and then continued to underperform for a further eight consecutive quarters. “It would seem as if it would be necessary for an investment to underperform for five years before it was reported to the board?” Mr Hodge asked. “I couldn’t accept that,” Mr Allert replied. It was then revealed that AMP’s cash option had delivered negative returns over the past three years. However this wasn’t brought to the attention of AMP’s superannuation trustee until APRA undertook a targeted review in March 2018. 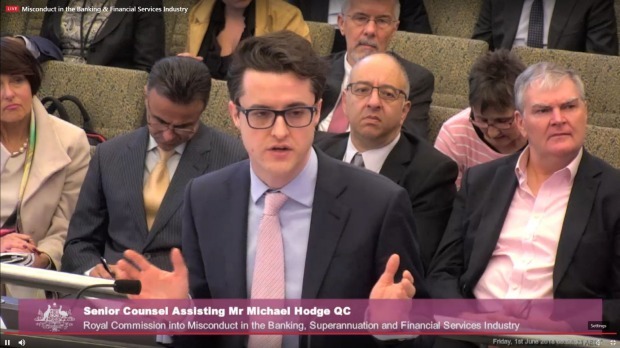 “Do you draw any conclusions about the adequacy of the exception arrangement that the first time you found out that the cash component of the Super Directions CMT which had net negative returns for three years was the report from APRA?” Mr Hodge asked. Mr Allert said the processess used were using the wrong criteria to screen for underperformance, and that AMP had since achieved a resolution to reduce administration fees. Mr Hodge suggested this was unlikely to ensure returns for the cash option were competitive and asked if it were possible for the trustee to move the members to a cash product offered by another provider. “Not in the current circumstances, no,” Mr Allert responded. Later in the hearings, it was revealed that in some circumstances AMP cash options could include mortgage-backed securities and corporate debt rated BBB- and above. The commission returns for closing summaries on Friday.